We've talked about rituals that help us focus and rituals that distract us from our activity. We've talked about mental and physical preparation. Today let's focus on making our rituals as effective as they can be. Once you know whether you like to associate with or dissociate from your activity, you know what kind of basic ritual works best for you. You know that both physical and mental preparation are necessary for peak performance and you incorporate both. What next: a relaxing ritual or an energizing ritual -- or a little bit of each? Relaxing rituals are great for helping us calm down our breathing, getting the adrenaline rush under control, and clearing the mind. Relaxation exercises are frequently recommended for speakers who don't want to take the stage in an agitated or hyper state. But sometimes an energizing ritual is more appropriate to the activity at hand. Perhaps you'd like to take advantage of that adrenaline and, rather than getting relaxed, you'd like to get more pumped up. 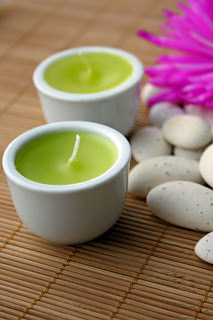 See the list here for preparation rituals that promote energy or relaxation. Here's the most important thing about preparation rituals: they must be simple, portable, and completely under your control. You want to be in control of your ritual, not the other way around. Some athletes and performers will fall apart if unable to complete their ritual, in which case the ritual is no longer helping the person, but actually hindering their performance. Fran Harris told me, "Honestly, a ritual can cripple you as much as it can aid you in succeeding." The more elaborate the pieces of your ritual, the less likely you will be able to complete it every time. Can it travel on a plane? Does it fit in your suitcase? Is it something that you need complete privacy for or can you do it in the corner of a crowded and noisy room? Whether you're a dancer, writer, actor, speaker, athlete, singer or comedian -- or anyone else who needs to focus on an important task -- preparation and performance rituals can add the benefit of a consistent routine to what you're currently doing to ready yourself for your event. Create your own customized ritual, use it regularly, and see if you don't feel more mentally prepared, more physically prepared, and more capable of reaching the peak performance you seek! Here are my thoughts on this. Worth .02. I find that I absolutely have to be fully prepared before I walk in the building. That way, if I can't get ready in the venue the way I want to, at least I am fully prepared. That also gives me freedome to do whatever I want before the "talk" providing I have the time. Another thing I learned is that it's important to be nice and approachable before the "talk". You just never know who you are talking to. I agree, Tony. When I arrive at the venue, I'm done with all my personal prep and can focus on the people and making sure the room is set up properly. I'm all ready to move forward.